You thought I loved Rebecca? … I hated her! 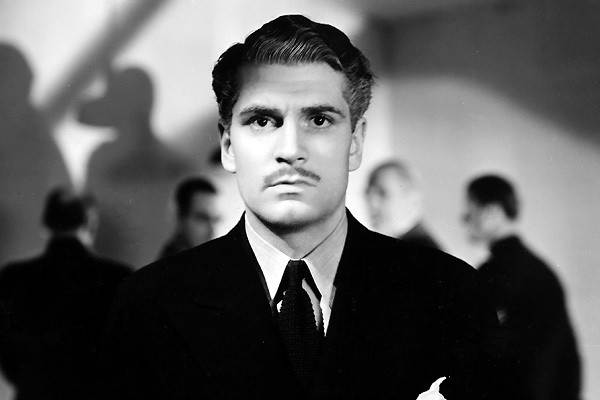 For years, I was quite certain that when it came time to cast the role of the tortured, mysterious Maxim de Winter for the 1940 film version of Rebecca, the first—and only—name on everyone’s lips in Hollywood had to have been Laurence Olivier. How could it NOT be? The dashing, dark, and oh-so-handsome Brit had “tormented hero” practically written on his chiseled face. Daphne du Maurier’s 1938 gothic-lite novel, on which the film was based, was wildly popular, eliciting comparisons to Charlotte Bronte’s Jane Eyre and her sister Emily’s novel Wuthering Heights, and all three books featured the kind of dark, aristocratic, and beautiful protagonists that populated much of Olivier’s early film career. The actor had already played Heights’ brooding “hero” (using the term loosely), Heathcliff, to great acclaim in the 1939 film adaptation of the book. His playing Maxim was all but a foregone conclusion. David O. Selznick, the producer who would go on to make life hell for director Alfred Hitchcock on the set of the film, initially wanted Ronald Colman for the part, to play opposite Carole Lombard. After Colman turned down the part, the role was up for grabs between Olivier, William Powell, and Leslie Howard. In the end, Olivier was the one who starred opposite the still-green Joan Fontaine—not owing to any perception of the actor’s superior talent, but because he was the cheapest of all three. Olivier delivers the entire speech with an effective mixture of self-loathing and suppressed rage (directed at both himself and his nefarious ex) that is utterly thrilling to watch. He bites off the words, hurling them between his lips like poisonous barbs. His movements around the room mirror those of a caged man, demonstrating how trapped Maxim has felt by the relationship with Rebecca and its aftermath: he paces the room, eyes darting around nervously, hands moving in agitated patterns. And that last question excerpted above—a plea for understanding and compassion—is delivered with the slightest intonation of plaintive longing, revealing the insecurity and loneliness that has plagued Maxim for so many years. Is there anyone who watches this and doesn’t marvel at the sheer power of the performance? This entire confessional sequence is practically a master class in how to construct a believable character. This is what I have long loved about Olivier. He’s not merely performing his characters. He embodies them–as if he ingests each character, breathes in every aspect of it, and builds a living embodiment of fiction that feels completely real. That he does this in so many of his roles (his take on Hamlet is, I feel, one of the most sensitive and honest portrayals of the Dane that I have ever come across) is a testament to his unparalleled skill as an actor and as a student of human nature. Olivier demonstrates an innate understanding of the way the mind works, and I have yet to see one of his films that doesn’t showcase this (okay, maybe 1981’s camp-tastic Clash of the Titans). Because Hitchcock reportedly barred Selznick from coming onto the set of Rebecca, the notoriously nitpicky producer relied on a stream of memos to relay his displeasure with the pace of filming and other sundry issues. According to TCM, one of Selznick’s major complaints about Olivier was that the actor’s performance was marked by an overly measured delivery, complete with extended pauses, that drove Selznick up the wall. Thankfully, Hitchcock ignored Selznick’s missives to “quicken the pace.” In my estimation, Olivier’s chosen delivery, which Selznick erroneously viewed as “too slow,” is actually a brilliant insight into the deliberate, careful nature adopted by Maxim de Winter in the wake of Rebecca’s death. After having been driven by jealousy and hatred to strike the woman, and then watching her stumble and fall to her death, it stands to reason that Maxim would be unwilling to submit to the baser side of his emotions again. He becomes overly cautious, taking great pains to restrict his feelings: it explains why he spends the first half of the film acting aloof and keeping his distance from his new wife, because he never fully trusts himself (or her, for that matter). And Olivier’s method of performing further demonstrates the actor’s skill at defining and depicting the most complicated aspects of human nature on screen. Judith Anderson’s brilliant embodiment of the Rebecca-obsessed housekeeper, Mrs. Danvers, has long gathered the lion’s share of attention in any examination of this film—and deservedly so, as it is the very definition of a tour de force performance. But Olivier’s own performance, so much more vital to the success of the film, deserves much of the credit for Rebecca’s success. To put it quite simply, the movie ultimately works only because Olivier definitively nails the role of Maxim, imbibing a seemingly indifferent man with flesh, blood, and genuine heart. 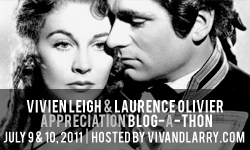 This post is my contribution to the Vivien Leigh—Laurence Olivier Appreciation Blogathon, hosted by Kendra of Viv and Larry. To see the other wonderful, thought-provoking entries, check out vivandlarry.com. Classic, memorable, unforgettable line — jolts me back to where Oliver delivers his line in the picture. I haven’t seen ‘Rebecca’ in a long time, but you have done a terrific job in making me want to pop in that DVD pronto. Well done! Fab post! Larry is so great in this film, I think it’s one of his best performances! I love this post , it’s the most accurate review of Larry’s great performance in this picture that I have ever read. I have this on Criterion DVD. It’s always been a favorite, though more for Fontaine and Anderson than for Olivier. Still, he’s a big reason why this film works. Thanks, everyone! I’m glad you enjoyed the review. And thank you, Kendra, for hosting the event—it was so much fun revisiting this movie and remembering why I love it so! I agree with Kittypackard’s comment I also fell head over hills for Laurence Olivier in Rebecca. He was quite curt at times as Maxim De winter and so moody. But very striking and charismatic I think. You had to feel somewhat sorry for him as he had such demons regarding his previous life and marriage to Rebecca. Can’t think why he never told his new wife before about the past but he confessed all when the boat was found with Rebecca’s body on board. 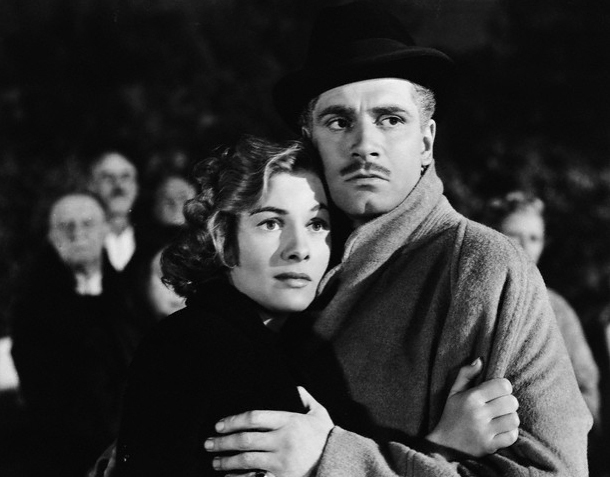 Laurence Olivier I think played a good part and so did Joan Fontaine. I have read the book some years ago by Daphne Du Maurier I often wonder why she did not give Maxim’s second wife a name. The part of Mrs Danvers was played so well by Judith Anderson and other supporting cast helped to make the film such a brilliant film. I am a fan of Olivier he was and still is my favourite actor he was so diverse in his acting prowess that is what I liked about him. Another comment about Olivier in Rebecca I forgot to mention was Olivier’s lovely speaking voice so full of pathos in my opinion.